Kairle Oaks - Handcrafted Goodness: THS the Best! It's always a good feeling to be a part of something good. 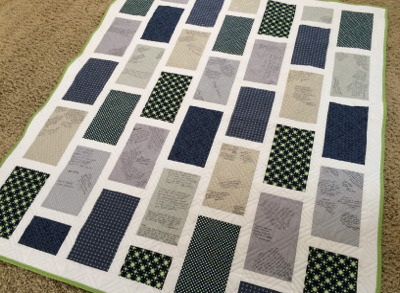 I was honored when my friends who serve in PTA asked me to make a quilt for the principal of our local high school. Mr. Murphy is a great leader and is loved by all of the students and parents. 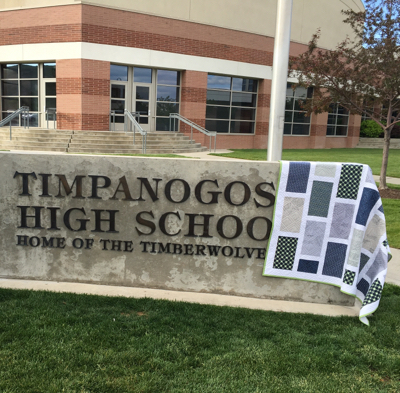 He will be greatly missed in the hallways of Timpanogos High School, but we wish him well as he takes a position at the district level. The front of the quilt is signed by the faculty and staff, the back is signed by the students.